What’s New and News in Disney? 1. Two friends rode all 46 available rides at Walt Disney World recently to fulfill their childhood dream and they did it all in one day! Shane Lindsay and Ted Tamburo completed their mission in 17 hours and by mapping it out ahead of time. 2. According to Walt Disney’s World News this Spring 2015 will bloom with a fresh take on lush gardens, inspired flavors and lively entertainment during the 75-day Epcot International Flower & Garden Festival March 4-May 17 at Walt Disney World Resort. New Disney character topiaries, including a nod to the blockbuster animated film, “Frozen,” will offer colorful selfie and family photo ops. Outdoor Kitchens will serve a fresh take on sweet and savory noshes. And guests can get “hands-on” with festival fun during Disney-led gardening seminars. 3.Star Wars Weekends 2015 have been announced! 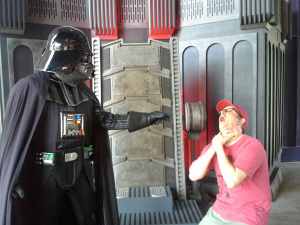 Bring your inner Darth Vader and be ready to have the pleasure of meeting some iconic characters every weekend between May 15th and June 14th in 2015. Star Wars Weekends run from Friday through Sunday at Disney’s Hollywood Studios and special meet and greets, parades and shows will be announced in the coming months. 4. 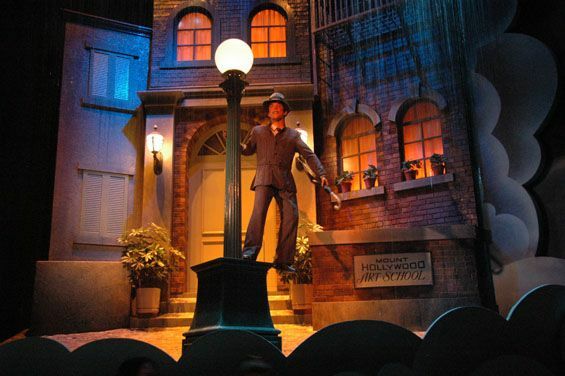 The Great Movie Ride is (finally) getting a little TLC from Turner Classic Movies. The updated version should be ready by Spring 2015 and I know we can all agree that this is something we ALL look forward too! 5. Disneyland is getting some Frozen Fun coming their way! Beginning on January 7, 2015 at Disney’s California Adventure you will find a new location to meet Anna and Elsa, a sing along, a family dance party and tons more fun! It is sure to be a huge hit. There is a sneak peek on December 20th if you are in the area. One extra exciting thing is a new Frozen-themed show that is set to open January 7, 2015th as well in DCA. If you have any Disney news to share with us – let us know! This entry was posted in Disney World, Disneyland and tagged DCA, Disney news, Frozen, Star Wars Weekend, The Great Movie Ride by Tara. Bookmark the permalink.